Practitioners of classic shaving should be all too familiar with the painful embarrassment that blunt razor blades can inflict on their faces. 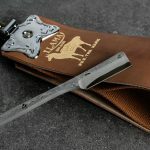 As a result, it is no coincidence that practitioners have come up with all manner of methods to help them maintain a sharp edge on their razors, with one method being the practice of stropping. 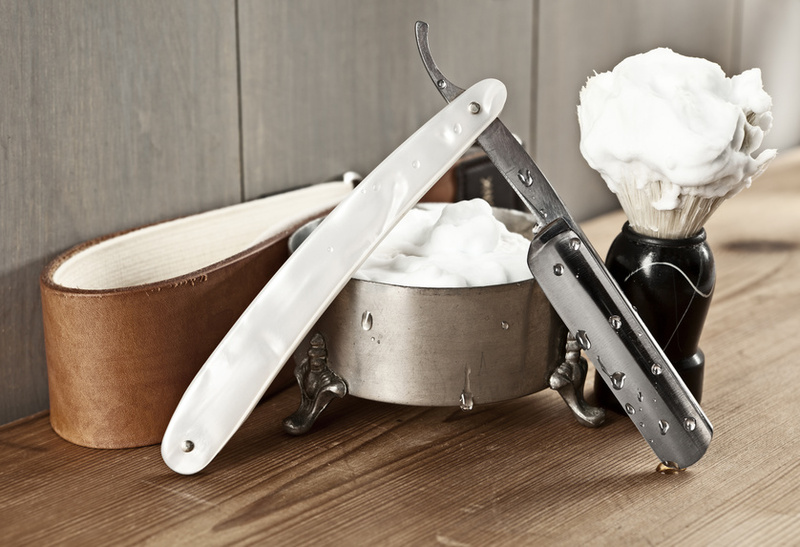 Although said practice was once limited to professional barbers in their barbershops, modern consumers have access to all of the tools and supplies needed to strop a razor blade from the comfort of their own homes. 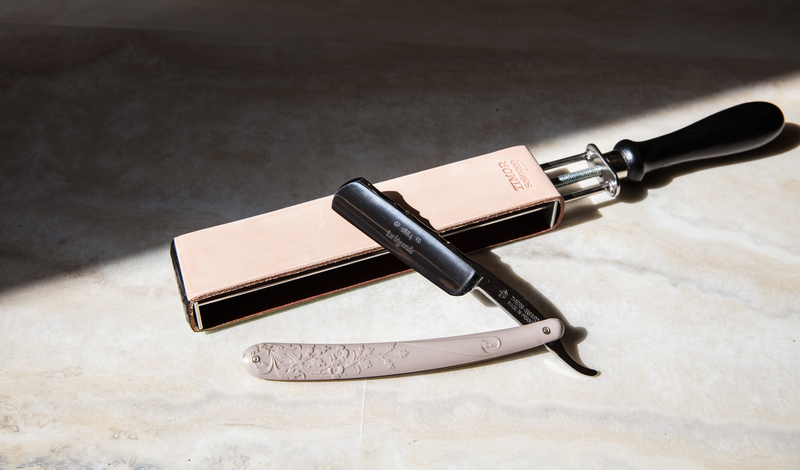 To sum up the process, stropping a straight razor blade means running the razor along a strip of material, called a strop, until it has regained its sharpness. The principles behind the practice are simple. Over time, both organic and inorganic detritus build up on the razor blade, resulting in a film that causes it to drag as the razor glides across both hair and skin. Furthermore, portions of the blade fall out of alignment, resulting in an uneven shaving edge. Stropping serves to remove the build-up, while also forcing the misaligned portions back into a straight edge. Some practitioners even use compounds to help polish the metal of the razor and hone it for a sharper edge in the process. 1. Make sure that the strop is attached to a strong and secure attachment point. It might be possible to polish using an unsecured strop, but it is not recommended because it is too impractical. 2. You do not need to use stropping compounds. However, if you do, remember that you do not need to use a lot of the compound to achieve the desired effect. Dab some of the compound on a cloth and then rub it onto the surface of the strop. 3. Once the strop has been secured, use your non-dominant hand to hold it taut using its unattached end. Using your dominant hand, rest the straight razor on the strop so that its edge is resting flat on the material. 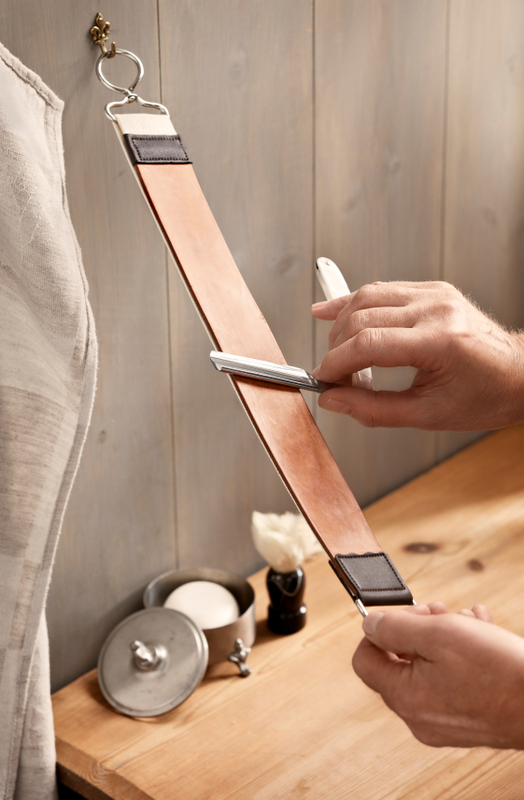 Make sure that the razor’s spine is resting on the strop since this ensures an even stropping. 4. The razor’s edge should be facing the strop’s attachment point, meaning that its spine is facing the non-dominant hand holding the strop taut. Your first stroke should see the razor being pulled towards your non-dominant hand. 5. Once the first stroke is complete, use your dominant hand to flip the razor so that its edge is now facing your non-dominant hand while its spine is facing the attachment point. Your second stroke should be much the same as the first, except that the razor is being pulled in the opposite direction. 6. Repeat the strokes until the edge has been stropped to your satisfaction. Bear in mind that stropping should be a fast process, with each stroke completed in about a second’s time. 7. Once the razor has been stropped to your satisfaction, you can run tests to gauge its newfound sharpness. The simplest method is to shave using the stropped razor, but that presents obvious methods. 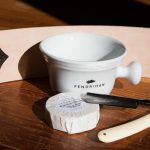 Instead, one of the most popular alternatives is to hold the razor in your hand and then run your moistened thumb across rather than along its edge. Remembering this is important because it is easier than one might imagine to open one’s thumb on a sharpened razor edge. The desired sensation is different from person to person, but for most individuals, the edge should be holding onto but not biting into your thumb. Stropping a razor is an useful part of the maintenance needed to keep razors in top condition. However, it is not enough on its own, because stropping is limited in what it can do for the razor blade. 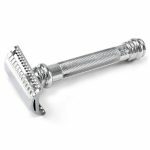 Under ideal circumstances, a razor should be honed as the need arises, while also receiving regular stropping to fix more minor problems with its edge. To learn more about razor sharpening, read our article about straight razor honing.